“How do you think this coffee shop buys its equipment?” In trying to answer this question, we spoke with hundreds of small business owners, and each conversation ended with the same conclusion: for millions of small businesses around the country, purchasing is a nightmare. The wonderful technology solutions, which heralded a new age of online consumerism and made enterprises more efficient in their buying practices, had almost completely left small businesses by the wayside. We found it incredible that such a vibrant and crucial part of America's economic fabric was being neglected by Silicon Valley, so we decided to change it. Many investors, mentors, and friends were skeptical of our idea and our focus (“You're helping who with what again?”). 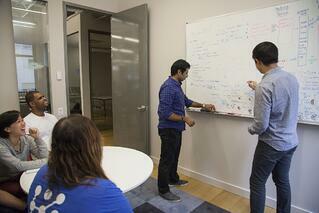 We knew building a platform that catered to small businesses wouldn't be easy. However, the fact that the existing processes were so antiquated (trade shows, phone calls, and faxes) and the inevitability of technological change in the B2B world kept us going. If it worked, it would be transformational. We could change the way the economy functions. We could impact people's lives and livelihoods. We could help people achieve their dreams. Pretty lofty goals for two kids in a coffee shop, I know, but helping small businesses with purchasing has always been our strategic North Star here at Kinnek. It's been a wild ride with plenty of ups and downs. What's made it all worth while is that, at the end of the day, we’re empowering real entrepreneurs to build their businesses, just like we have built ours. Luckily, small businesses and suppliers alike are just as excited to work with us as we are to work with them! 20,000 small businesses already use Kinnek to painlessly manage their purchasing and supplier relationships -- and that number’s growing by leaps and bounds. 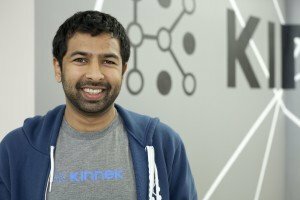 Billions of dollars worth of quotes are submitted through Kinnek each year, with million-dollar-deals being facilitated by our platform every week. And we're just getting started. So where are we headed? 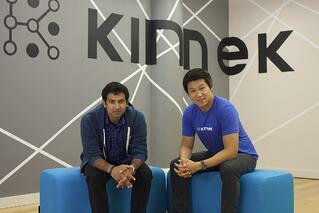 Well, we just raised a $20M Series B led by Thrive Capital to take Kinnek to the next level. We're expanding our ecosystem, improving our product, growing our user base and expanding to new industries. We've already assembled an amazing team of complete ballers: the most fun, hardworking, creative, mad-scientist-type-geniuses you could ever imagine - and we’re on the lookout for more to join us, here in the heart of Manhattan at Kinnek's headquarters.